We, Pranav Constructions, are a Flat Promoter & Builder ventured as a registered contractor in Chennai. Pranav Constructions was established in the year 2012 by Mr. Balasundaran, Engineering Graduate, who is having a Technical Expertise Business Knowledge & clean Business Etiquettes. He has more than two Decades of Experience to his record and has held various top level positions in companies in India and Middle East. 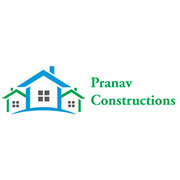 Pranav Constructions makes a piece of earth a more beautiful place for you to live with comfort. Our flats are extremely well priced with best quality in construction, which is affordable by everyone. The homes are being designed with modern outlook at par with global architecture with unmatched creativity by our designers. The fastest growing industry in Chennai is the real estate industry and no wonder flats here are one of the most beneficial and risk free investments for your hard earned money. Our apartment/flats are sure to meet the modern & peaceful living. • Adhering to basic Norms as stipulated by authorities. • Clear and Clean Title of plot on which Apartment is constructed. • Timely delivery except for unforeseen circumstances. • Maintaining quality of construction with a time bound planning. • Very much keen in maintaining customer relationship with at most care and priority. • Provide timely after-sales service. • Assist customer to get Bank Loans.